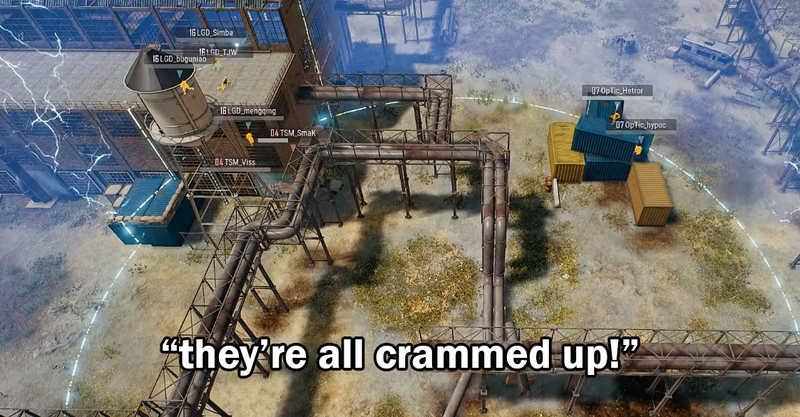 The final circle of a PlayerUnknown’s Battlegrounds round is always a tense scenario, but the location of the final match of the day put these teams in swiss-cheese world of visibility, vertical height, and almost-cover. 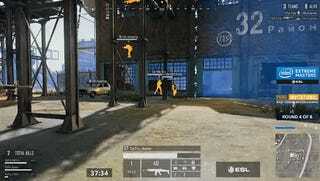 At the 34 minute mark of the match, Optic Gaming’s three remaining players are spread out across various pieces of cover in an open courtyard while LGD Gaming try to peek them from a balcony. Tempo Storm wait patiently below them in a small room, hoping that no one notices them. When the circle finally closes, it’s some fast-paced and exciting PUBG play that demonstrates exactly how well this game works as a competitive experience.